Since its unveiling a couple of weeks ago at the Detroit Auto Show, the 2019 Chevy Silverado has many truck fans talking about it - and for the most part, good things have been said. This all-new, redesigned pickup features a revamped front end with "squinted" headlights and a more refined grille and bumper. It also features rounded fenders and smaller, more distinguished rearview mirrors. The more modern look of this classic truck falls responsible to a more modern designer. 32-year-old Tyler Moffett had the "squinty" face in mind to portray a more serious look. This look symbolizes both paying respect to the legacy as well as moving forward in the best possible way. The young designer grew up around Chevy trucks his whole life and wanted to maintain a similar idea while adding his own touch of today's style. 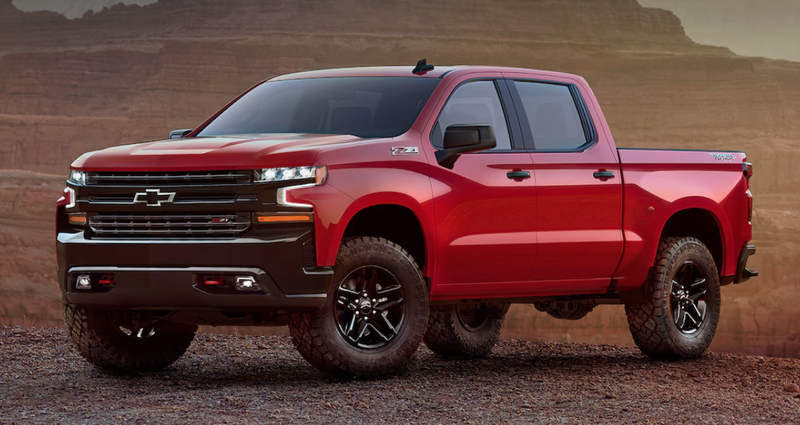 The all-new redesigned 2019 Chevy Silverado has truck lovers excited for a few reasons. This full-sized pickup comes with eight trim options as well as a lighter frame and roll-formed aluminum bed. What the body loses in weight, however (450 lbs), it makes up for in strength. Get ready for a new 3.0-liter Duramax diesel inline-six engine! Ready to really get the job done? This will allow you to do so. The new roll-formed aluminum bed isn't the only feature that is drawing attention. The 2019 Chevy Silverado features the first ever truck bed that can be opened by a key fob, cabin button, or hand. So, when you're hard at work, you can open up your truck to load from a distance. No more putting down and picking up again! The all-new 2019 Chevy Silverado will be available later this year at both of your Peoria, IL Chevy truck dealers - Uftring Chevrolet in Washington & Uftring Weston Chevrolet Cadillac.